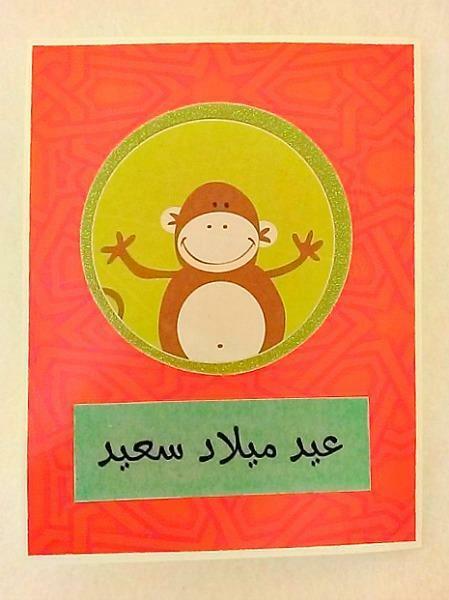 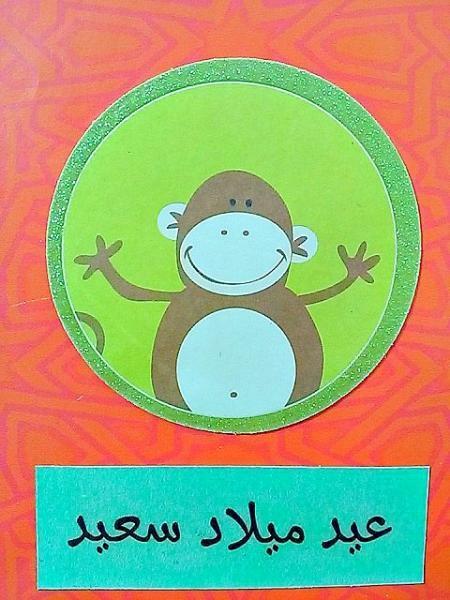 This Arabic birthday card is perfect for a child or someone in need of a monkey hug. 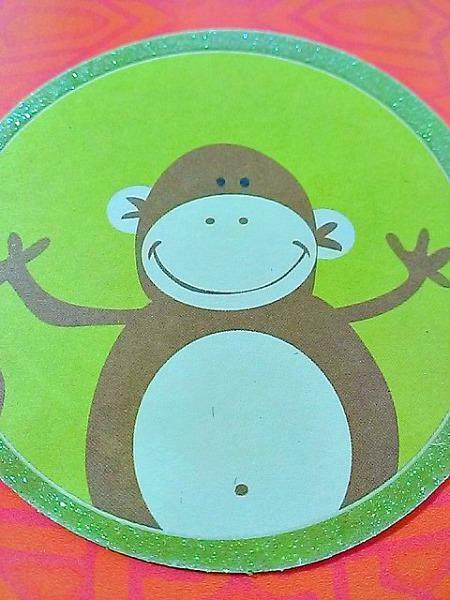 It features a smiling monkey with his arms outstretched, in a circle cutout that has been outlined in glitter. 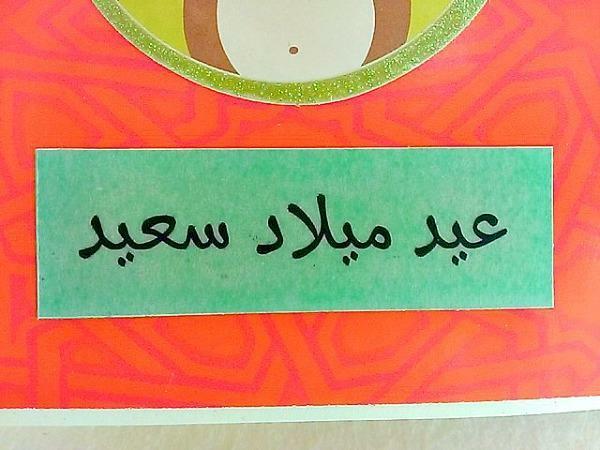 Below the words Eid Milad Said have been written in vellum and added to green cardstock. 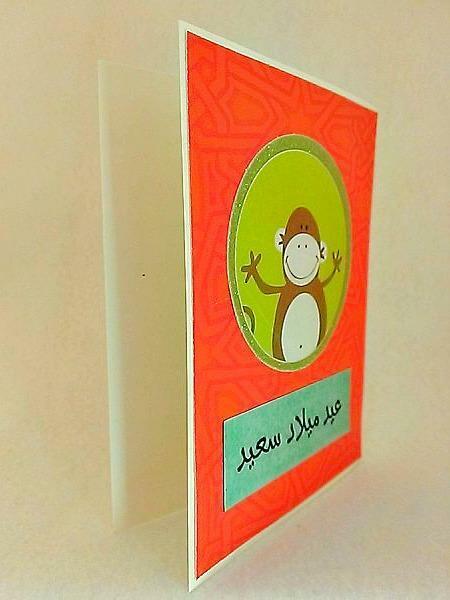 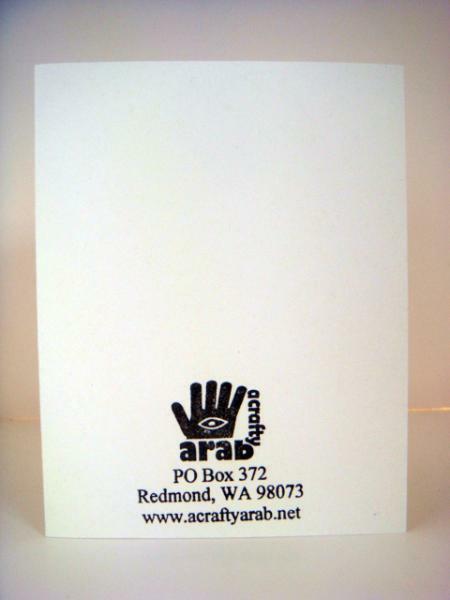 Everything has been placed on a bright orange and pink Arabesque design background.